The Russian central bank has announced adding another 900,000 ounces (29 tonnes) to its gold reserves in November, This makes 2017 the highest ever year in Russian central bank gold reserve rises and there’s still a month to go. In its latest announcement, the Russian Central Bank has stated that its gold reserves rose from 48.4 million ounces to 49.1 million ounces during August. This increase of 700,000 ounces – 21.77 tonnes – is the largest monthly increase this year and brings Russia’s total gold reserve increase so far this year to end August to 113 tonnes according to this latest announcement and World Gold council figures for the prior seven months. Over the same period of 2015 the Russian central bank added 109.15 tonnes, after a hiatus at the start of the year, so it has been adding to its reserves at a broadly similar overall rate in 2016 so far. Last year it should be noted that it upped its gold reserve additions quite substantially in the final four months of the year to an average of 24.2 tonnes a month, compared with an average of 13.64 tonnes a month over the first eight months of the year. We had been suggesting in previous articles that the pace of central bank gold buying might be slowing down, given the low purchase levels by Russia in May and July, and a big reduction in announced Chinese purchases too, given that these two nations are about the only two whose central banks have been adding to their gold reserves in a significant manner. Relative to its own gold reserves, Kazakhstan has also been increasing its gold holdings at an important rate, but at only around 3 tonnes a month. But the latest Russian figure suggests we may have been premature in this assessment, at least as far as that country is concerned. We shall have to wait another week or two to find out whether China too is reverting to earlier gold reserve increase levels, or is continuing at the slower pace seen in recent months. On the other side of the equation – central bank gold sales – the principal seller has been Venezuela which has seen its gold reserves reduce by around 100 tonnes since the beginning of December last year. However it does not appear to have sold any gold in July and August this year according to Swiss gold import statistics given the country’s gold sales so far appear to have been routed through the BIS in Basel, although one cannot rule out further sales during the remainder of the year. Depending on China’s announced official purchases in the final few months of the year, perhaps our estimate of net central bank gold purchases for the full year of around 350 tonnes could prove to be an underestimate, but only if Russia continues to add at the higher rate, Chinese purchases start to pick up again and Venezuela manages to hold on to most of its gold despite its dire economic situation and global debt position. Latest figures out of Russia’s central bank state that it has increased its gold reserves in April by 500,000 ounces (15.6 tonnes), which is exactly the same amount the bank reported as its reserve increase in March as well. While February’s reserve increase was reported at 300,000 ounces, January’s was 700,000 ounces. This means that the average month on month increase this year has been 500,000 ounces suggesting that the bank may be planning to increase reserves by this amount on a regular monthly basis throughout the year. This would put a projected annual reserve increase of 6 million ounces – or around 187 tonnes. Some see this increase in gold as reserves – as they do for China which has also increased reserves by around 46 tonnes so far this year – as an ongoing move to diversify reserves away from the U.S. dollar related bonds. This could be because they see the dollar as likely to depreciate over time, or it could be a political move in Russia’s case in particular given that relations between it and the U.S. are somewhat strained. The second article comments on the almost totally-ignored-by-the-media enormous gold purchases into the USA’s biggest gold ETFs – GLD and IAU – on Friday which totalled over 23 tonnes in a single day. Russia buying more gold than China. 21.8 tonnes in Dec.
Firstly my compliments of the season to all reader’s of lawrieongold.com, which I have now been publishing for almost exactly one year – and which has achieved just short of 100,000 page views over the period. Thanks for following. Scary year ahead. Should we be buying gold and silver: Portents for 2016, according to a number of well-respected observers – are beginning to look decidedly scary. 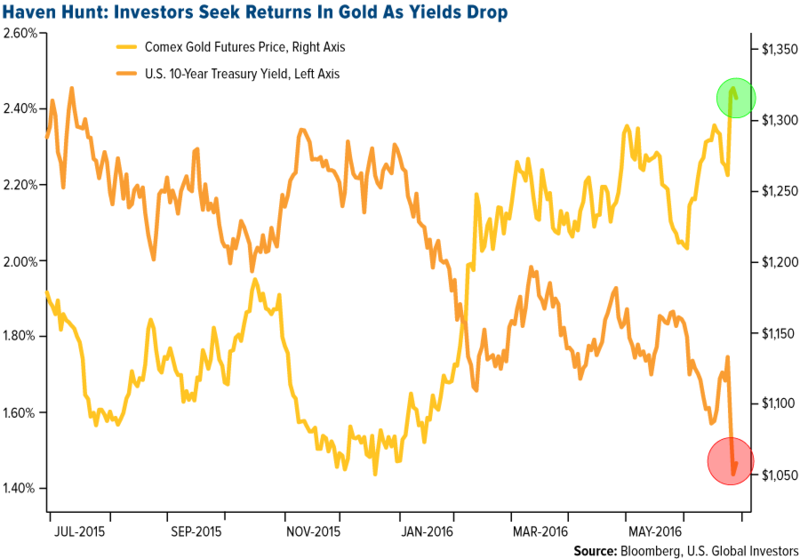 Will this turn the investment sector back into buying gold and silver? Apologies for the apparent dearth of gold and precious metals articles from me published here this week. Its not that I haven’t been writing – I have – but most of my work in the past week has been going direct to Mineweb – my main source of income – so you can still read my thoughts and comments on what’s happening in gold and silver – and sometimes in other metals too – (notably platinum in the past week) so you can always read them there. Can platinum regain its premium over gold in Q2-Q3? Have the big banks been manipulating gold and silver prices? It had been suggested last month that Russia would have to sell some of its gold reserves – the World’s fifth largest national central bank holding (ignoring the IMF’s holding) – to help prop up the ruble. The Russian currency has been being driven down, almost in freefall for a time, by the unholy alliance of drastically falling oil and gas prices coupled with U.S. and European sanctions over the Crimea annexation and possible Russian involvement in the continuing uprising by pro-Russian rebels in Eastern Ukraine. But, the opposite has been the case. The Russian Central bank announced yesterday that its gold reserves grew by a further 600,000 ounces (18.7 tonnes) in December – the ninth successive month of gold reserve increases. Clearly President Putin is a believer in the ultimate economic benefits of a strong national gold holding – particularly if some kind of global reserve currency realignment lies ahead in the relatively near future. As a Reuters report points out, Russia has now more than tripled its gold reserves in the past 10 years, even as it recently has presumably had to use some of its its international currency reserves to defend the ruble with the national economy having been driven to the brink of recession. The ruble slid almost 50 percent in the past 12 months which makes the nation’s gold reserves ever more important to its global economic status. *China is widely believed to hold substantially higher gold reserves than those reported to the IMF as shown above. Russia does not need to go out into the open market to buy this amount of gold. It was the world’s third largest gold miner in 2013, the most recent full year for which figures are currently available. The nation’s mines thus currently produce perhaps a little more than the 18.7 tonnes which have been moved into reserves, so that suggests that the country, like China, is not exporting its gold production, but accumulating it. 2014 figures are not likely to have changed significantly from those shown in the table above. Russia is estimated to have raised gold output during 2014 – first quarter figures were particularly strong – perhaps sufficiently to challenge Australia for the No. 2 slot, although Australian production may also have risen by enough to hold off the challenge.